Image courtesy of Cedar Creek Brewery. 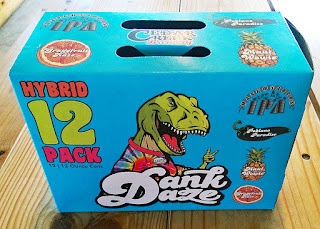 Coinciding with the brewery's annual Dank Daze celebration, Cedar Creek Brewery will release a new Dank Daze 12-pack featuring hybrid versions of its popular Dankosaurus IPA. 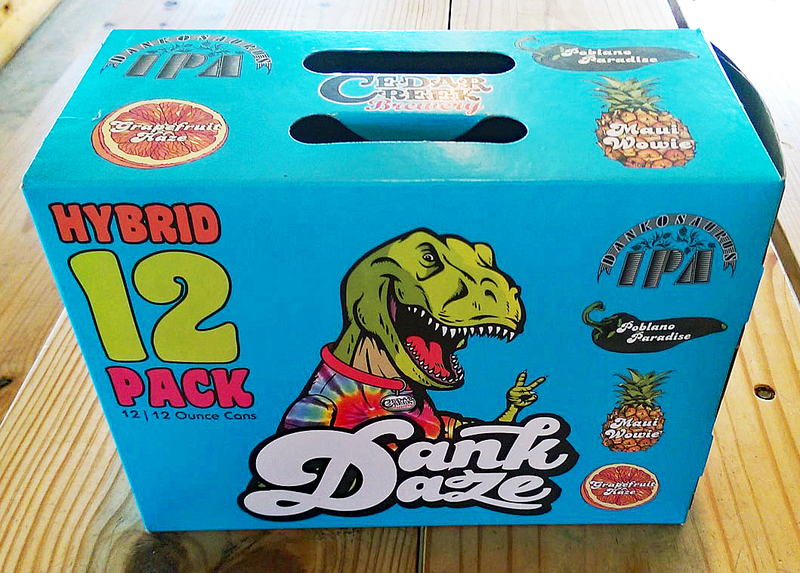 Dank Daze, which runs from April 20 through April 23 at the brewery in Seven Points, commemorates the release of Dankosaurus IPA with special variants of the beer created in honor of the occasion. Dankosaurus itself was first unleashed into the wild in March 2014, so this year's festivities will mark the beer's third birthday. Poblano Paradise (Dankosaurus brewed with poblano peppers). Maui Wowie (Dankosaurus brewed with pineapple). Grapefruit Haze (Dankosaurus brewed with grapefruit). These three beers will also be contained in the Dank Daze 12-pack, which is scheduled to hit stores across Texas beginning April 20. Look for it at the brewery and wherever Cedar Creek beers are sold.